Blog post by Modern Makers participant Bryony Rose. Wk9: This week we decided to each make a set of espresso mugs, using the technique Alex showed us last week. 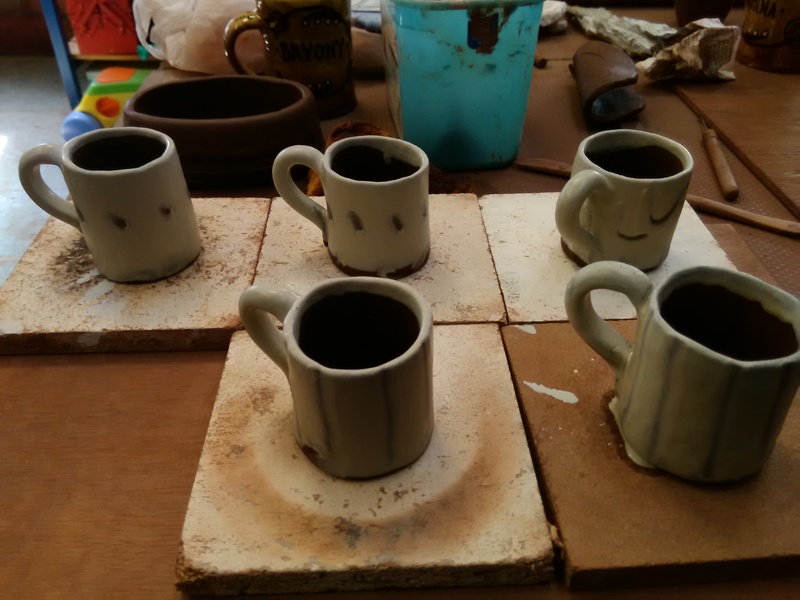 Once the mugs themselves were dry enough, I dipped them in white slip and ran my fingers over each mug to create different patterns. We loaded the electric kiln to bisque fire our boxes and candles stick holders, ready to be dipped in glaze next week. Wk 10: I decided to make a colander, using a dome mould. I moulded 3 little feet onto the bottom. Next week I will add a strip along the edge of the dome to make a more colander shape. I also cut out a template which will hopefully make a interestingly shape dish. 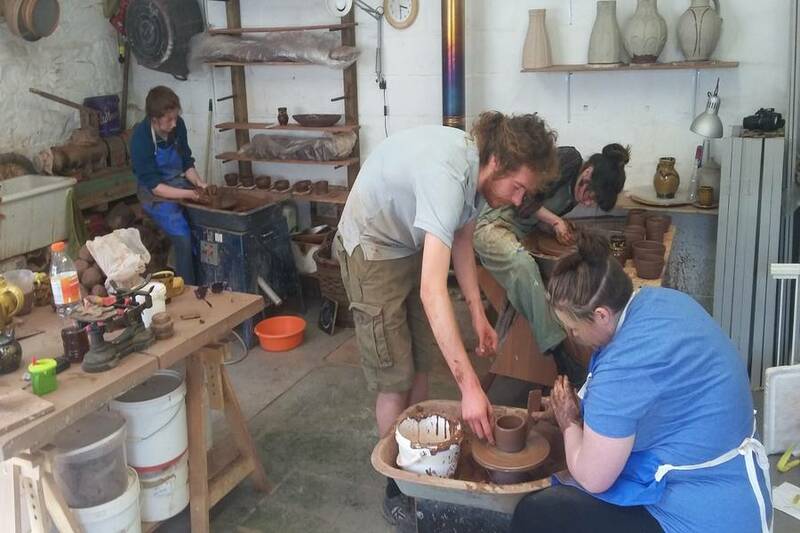 The next day we had a lesson in throwing from Laurence Eastwood, who is up visiting from The Leach Pottery in St Ives. It was great to spend a whole day practicing different shapes. Next week I will pull handles and should hopefully end up with a load of mugs to decorate!